Paper, as the key component of books, originated from wood. We sought to reverse and amplify this relationship in our design concept. The wood we know and experience daily as a construction material, is often very wastefully extracted from the original lumber resource. So instead of using wood as a material, we conceived its appearance in its original log form. 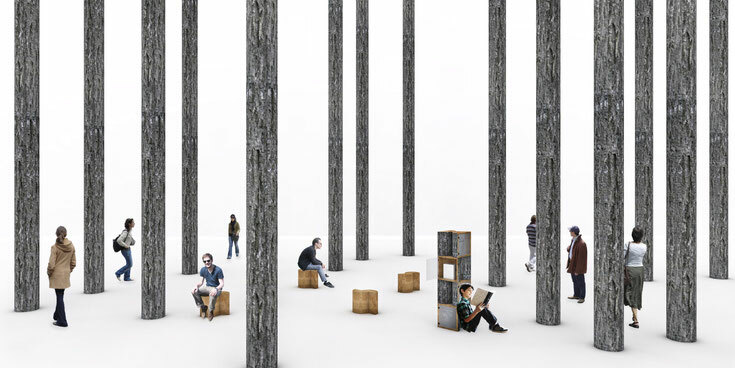 The creative representation and composition of the log will give a modern yet nostalgic feel to the furniture. From a maple wood log with its bark intact, measuring roughly 400mm in diameter and 1.6m in height, is sawn into segments of 400mm tall halves. The inside is hollowed out to reveal C shaped sections that are glued back to back and alternately stacked. The hollowed out wood is then re-joined and sanded to form seating furniture. 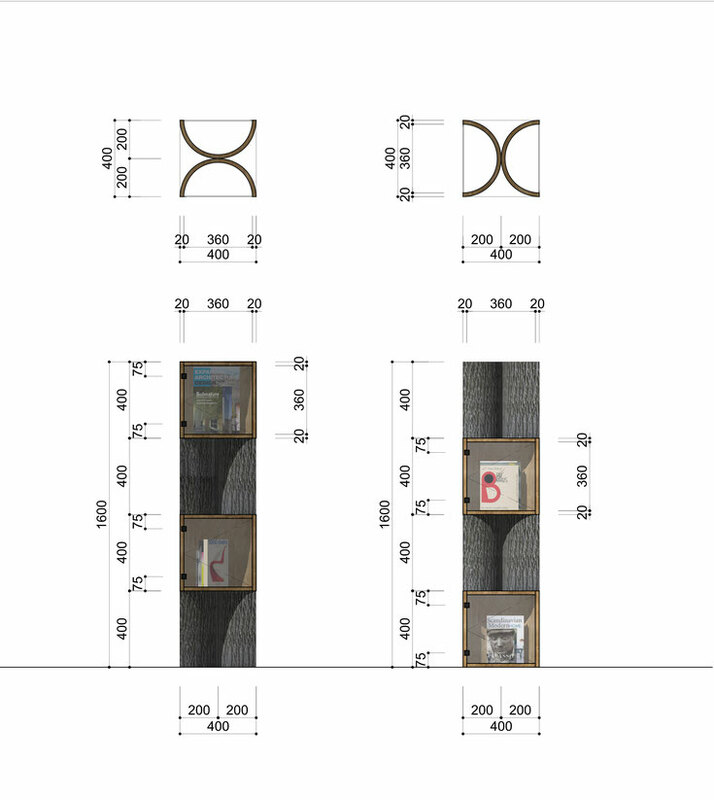 The finished design is seen as not only passive shelving furniture but an act of active inhabitation of a library environment with seats and users.